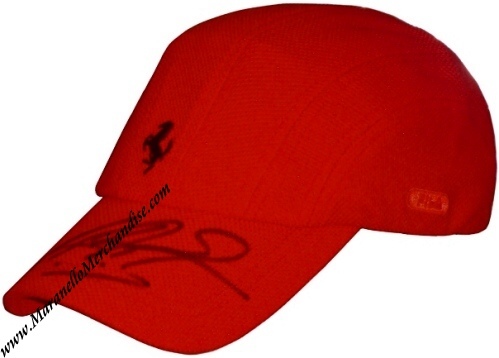 Michael Schumacher signed Ferrari Fila Cool Max Cap. This is a BRAND NEW, never worn, Fila Ferrari Cool Max System Cap in bright red with embroidered prancing horse on the front. Michael personally autographed it on the peak, using a black marker. Please note that the image shown is a sample and that "your" cap might differ slightly from this image as every signature is unique. The certificate will show the actual cap.